The world of instant payments is just around the corner, that much is certain. Soon, it will take just milliseconds, not days, to settle any kind of transaction all around the world. Cryptocurrencies have been one of the major breakthroughs in developing this capability. What’s uncertain is which digital currency will take the lead in this future and deliver instant payments and transactions on a worldwide scale. Let’s take a look at some of the top cryptocurrencies to see their advantages and if they have what it takes to become the top dog in the crypto market. The oldest, most popular, most valuable cryptocurrency, which is also the most controversial one, is still at the top of the cryptocurrency ladder. This should come as no surprise. Cryptocurrencies are network services which get their value from the size and usability of their network. Bitcoin got a huge head start on every other cryptocurrency and gained a valuable advantage from what marketers call the ‘network effect’. It also has the advantage of being the poster child of the cryptocurrency world. People often use the ‘Bitcoin’ brand name and the term ‘cryptocurrency’ interchangeably. So, can Bitcoin hold on to this lead for good? Maybe, maybe not. One of the main drags on Bitcoin’s progress has been its slowly evolving technology. The network gets easily congested and is expensive compared to many of the alternative cryptocurrencies below. The network effect won’t help Bitcoin for long if it can’t do its job properly. However, developments like the Bitcoin lightning network are improving the platform. If Bitcoin can be improved just enough to keep people on board and faithful in its future, it may well keep its crown for many years to come. Ethereum is both a direct and indirect competitor to Bitcoin. It has its own currency that can be traded just like Bitcoin, but it can do so much more. The success of Ethereum and its main currency, Ether, depends on the network’s utility in creating decentralized applications, or dApps. The Bitcoin network hosts a decentralized payment application, but the Ethereum network can host almost any kind of decentralized application. This includes games, social networks, and marketplaces. However, so far the most important application on Ethereum has been ICOs, or Initial Coin Offerings. Ethereum led and rode the ICO boom to become the largest dApp network in the world. If dApps continue to grow and Ethereum can continue to deliver value in this way, it could possibly overtake Bitcoin. But it will have to deal with serious competition. Ripple is another kind of blockchain network again. Ripple and its digital token, XRP, are not decentralized in the same way as Bitcoin or Ethereum. The Ripple network is built and run by a private company of the same name. Their mission is “Enabling the world to move value like it moves information today”. This is a no-go for many blockchain purists who say a centralized network like Ripple has no real value to offer. However, being more centralized gives the Ripple network some advantages over Bitcoin and Ethereum. In a quickly changing connected world, being fast to evolve and adapt is key. Unfortunately, decentralized governance has shown to be a slow process so far with the Bitcoin network. The Ripple network can also work more closely with governments and adapt easily to regulation. If Ripple can maintain the faith of its users, deliver faster innovation than Bitcoin, and create a more legally viable crypto payment network, it may well be able to become the top cryptocurrency. EOS is a network with huge ambitions. The founder, Dan Larimer, had an idea to build a network that is decentralized, fast, scalable, flexible, and has a robust form of governance. A dApp platform is built on the ideas he developed with Steem and Bitshares. EOS plans to overcome the technological and scalability challenges that plague Bitcoin and Ethereum by using an innovative consensus algorithm called Delegated Proof of Stake. It allows for many more transactions on a decentralized network than Bitcoin’s Proof of Work. It also focuses on having clearly defined systems and procedures for making governance decisions on the network. EOS has had its own set of problems in the past, but if it can deliver on its promise by being extremely fast and effective, it will be competing for the top spot on the crypto ladder. Bitcoin Cash is based on essentially the same technology as Bitcoin. The two even share most of their blockchain history. However, the Bitcoin Cash community have a very different opinion on how the Bitcoin blockchain should develop. There is just one key difference between Bitcoin and Bitcoin Cash, and that’s block size. It’s a small technological difference but has huge ramifications for how the cryptocurrency, community, and mining network can develop. It means that the network has a much higher capacity to handle fast and cheap transactions. But it also means more centralization. Whether or not the larger block size is enough for Bitcoin Cash to overtake Bitcoin is highly debatable, but it’s certainly possible. This one is an outsider on this list. 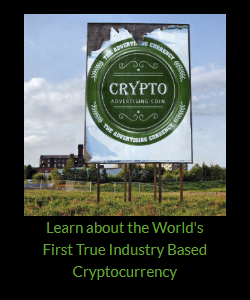 Many will argue that it’s not even a real cryptocurrency. But, it’s here because of what it represents. Large financial institutions and even governments are starting to research and launch their own cryptocurrencies. JP Morgan has launched JPM Coin as a means to reduce settlement times on their own payment network. It’s possible that if large financial institutions and governments can build the right cryptocurrencies and reduce the friction in the financial industry, the allure of decentralized cryptocurrencies like Bitcoin might fade into the background. It’s impossible to know for sure which of the above digital tokens will eventually win out. Or if something else entirely rises to the top. But understanding the specific need that each network is trying to solve, and how it plans to do it, will give you a much better idea of which currencies will rise to the top.